Doctor’s hardened advice to take calcium to prevent age-related fractures is softening. Two studies in the British Medical Journal released in October 2015, shows that increasing calcium intake through dietary sources or supplements does nothing to improve bone health or prevent fractures in older people. The studies suggest that increasing calcium intake should not be recommended for fracture prevention. Documented studies regarding health concerns and kidney stone formation, vascular events and acute gastrointestinal events have prompted some experts to recommended that people over age 50 increase their calcium intake through their diet and resort to supplements only when dietary sources are not possible. For instance, Osteoporosis Canada, says that even though concerns exist regarding calcium and kidney stone formation, they still make the following recommendation. These new studies presented in BMJ, led by researchers in New Zealand, examined the evidence that underpins the recommendation that by increasing calcium intake from dietary sources or supplements one can improve bone health and prevent fractures. The researchers used bone mineral density (BMD) as the surrogate endpoint for fracture risk in randomized controlled trials of modest size. They analyzed the available evidence from randomized controlled trials and observational studies of extra dietary or supplemental calcium in women and men aged over 50. Study design was considered when determining which studies to include. Researchers identified 59 eligible randomized controlled trials: 15 studied dietary sources of calcium (n=1533) and 51 studied calcium supplements (n=12 257). Increasing calcium intake from dietary sources increased BMD by 0.6-1.0% at the total hip and total body at one year and by 0.7-1.8% on respective sites in the lumbar spine and femoral neck at two years. There was no effect on BMD in the forearm. Calcium supplements increased BMD by 0.7-1.8% in all five skeletal sites at one, two, and over two and a half years. However, the size of the increase in BMD at later time points was similar to the increase at one year. In the second study, researchers concluded that dietary calcium intake is not associated with risk of fracture. They found no clinical trial evidence that increasing calcium intake from dietary sources prevents fractures. 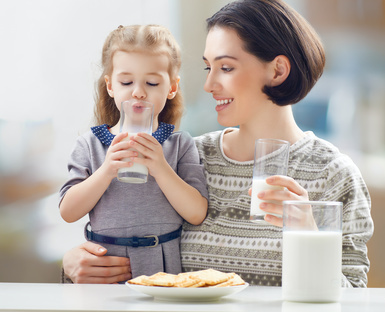 It is time to revisit recommendations to increase calcium intake beyond a normal balanced diet, said Professor Karl Michaëlsson from Uppsala University in Sweden, in an accompanying editorial. He pointed out that ever increasing intakes of calcium and vitamin D recommended by some guidelines defines virtually the whole population aged over 50 at risk. Yet most will not benefit from increasing their intakes, he warns, and will be exposed instead to a higher risk of adverse events. “The weight of evidence against such mass medication of older people is now compelling, and it is surely time to reconsider these controversial recommendations,” he concludes.